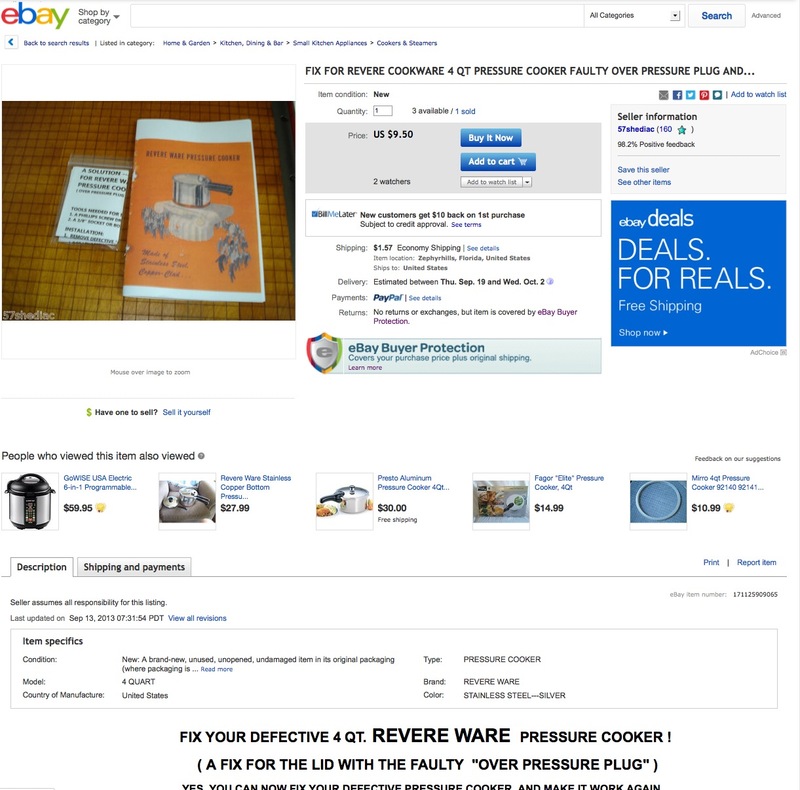 I came across this purported fix (pdf in case the listing is gone) for faulty vintage Revere Ware pressure cooker over pressure plugs on Ebay. The problem with over pressure plugs on the vintage cookers is (a) they contain solder inside that will melt (thus opening up the over pressure hole) when the pressure gets too high, and once blown, they are useless, and (b) they are no longer available. 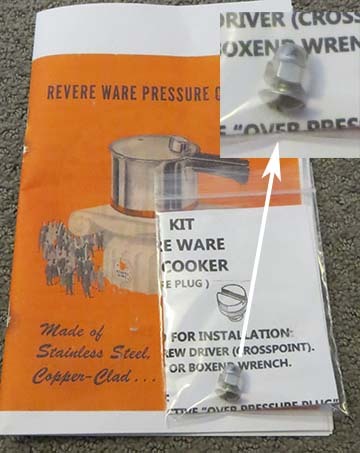 While they do include a copy of the pressure cooker manual (which you can download from our site for free), the fix itself is nothing more than a screw and nut that will permanently block off the over pressure hole. While it may be frustrating not being able to use your pressure cooker without an over pressure plug, plugging the hole and leaving yourself with no over pressure release is dangerous. The instructions that came with the “fix” give no warning as to the dangers of not having a pressure relief when using a pressure cooker. 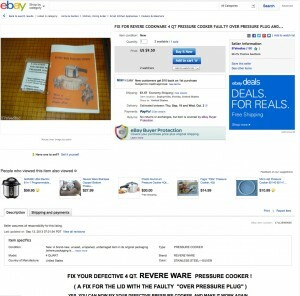 We can’t recommend fixing your pressure cooker in this way.